The 26th of February 2018 more than 20 partners from CIAC (Clúster de la Industria d’Automoció de Catalunya) came to be informed about the activity of Fundería Condals, S.A, a leading company and international reference in the foundry sector. Some of the visitors that came were: the president of CIAC, Josep Maria Vall, his manager Ferran Verdejo and Juan Ramón Rodríguez, president of Logistics CIAC Comission. 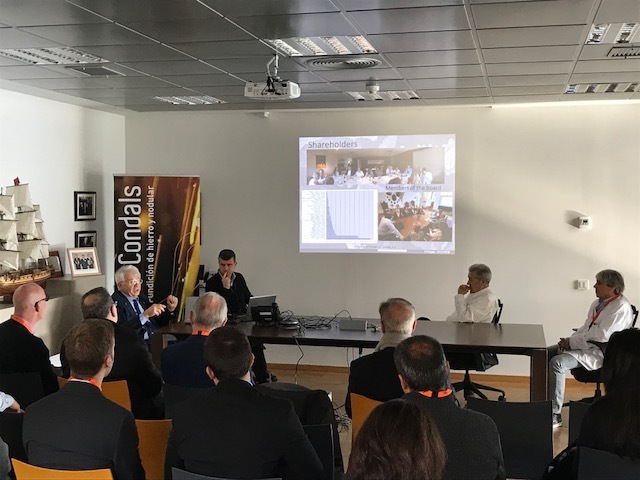 The first part of the visit was the presentation of the company which was led by Miquel Sallés (president of the company) and Eduard Sallés (CEO). Afterwards, a factory tour was given by Antoni Puigmal (director of the company).